Swimming pools require balance and proper care. Frequent swimming in pools can also put swimmers at risk. Chlorine exposure to teeth may cause tooth decay and erosion of dental enamel. Too much chlorine causes a low pH level in the water, making it acidic. The chemicals used to disinfect pool water can cause dental staining if you are exposed to it frequently. This is why competitive swimmers may have yellow teeth. Tooth sensitivity is another concern associated with chlorine exposure. Sensitivity is also a symptom of tooth decay. 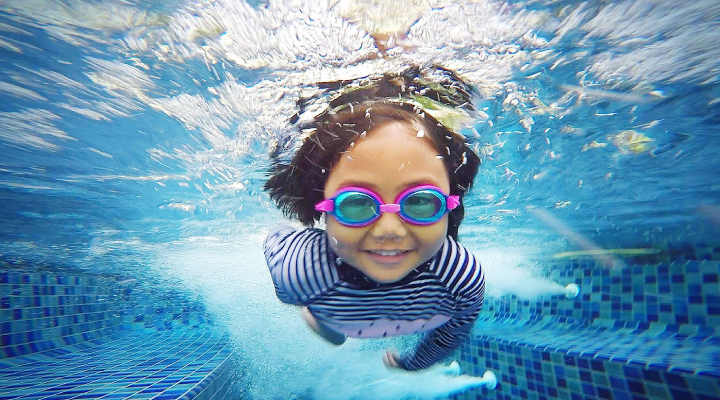 Keeping pools clean and safe is the main priority, but the chemicals that are used to disinfect the water can lower the pH level and may negatively impact your teeth. To combat these oral health concerns, competitive swimmers should see their dentist regularly, brush with fluoridated toothpaste and rinse their mouth out with water after being in the pool.